Coping now complete. The water feature has also been clad in matching travertine, I pulled the travertine right down to the seat so will be under water and give the water feature the illusion of being taller than the 1m it actually is. Just have the grout to do tommorow and that part is complete. 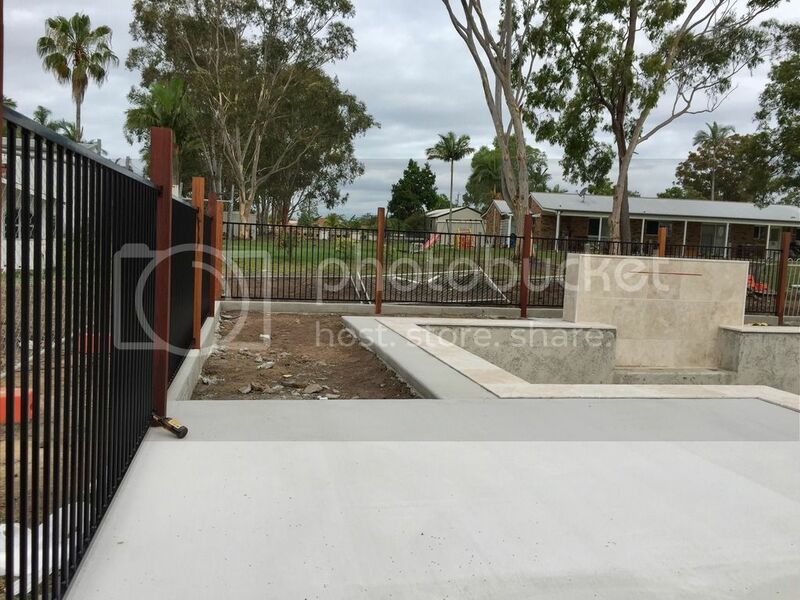 Next part is the fence posts. Once they go in I can't concrete the surround and lay the remaining travertine to crest a second row of coping. Pretty happy with how the look is coming together it's exactly how I wanted it, this has been a struggle at times working with trades who don't care about aesthetics but rather fastest way to do the job (always bites them when they spend double the time redoing things) but we got there in the end. I was very specific in my cuts and made sure they were minimised and any cuts were away from vision to enhance the appeal of the stone. 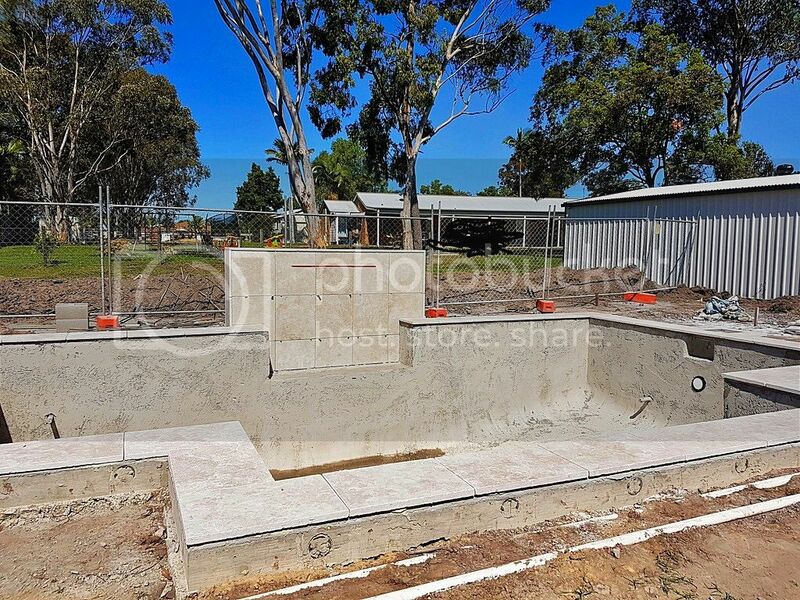 Looks great so far... watching your pool build as our house build contract includes a concrete pool. 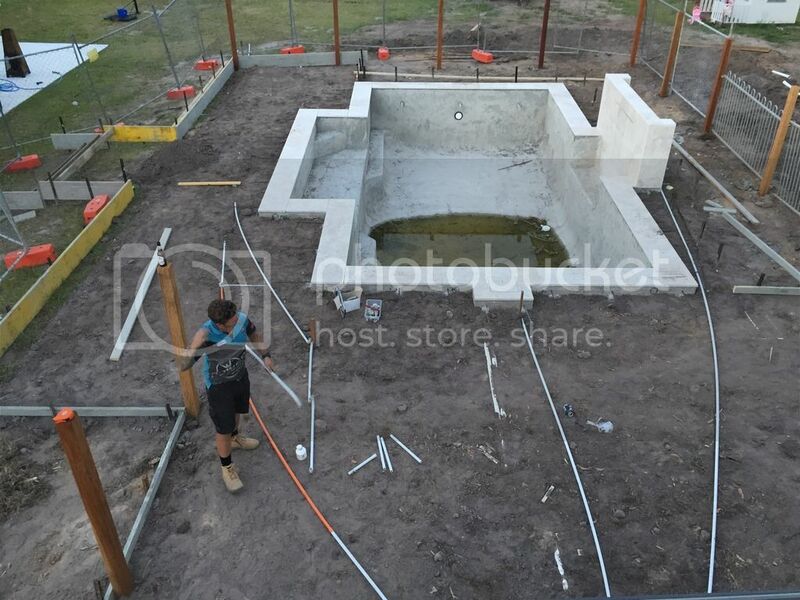 Been a fair bit happening with the pool the past fortnight, I had to wait for the coping to be done to get the correct levels for the concrete, then before we could box it up I had to get all the Iron Bark posts in as I wanted to have them neatly in the surround and be able to have the fence panels sit above concrete not ground. 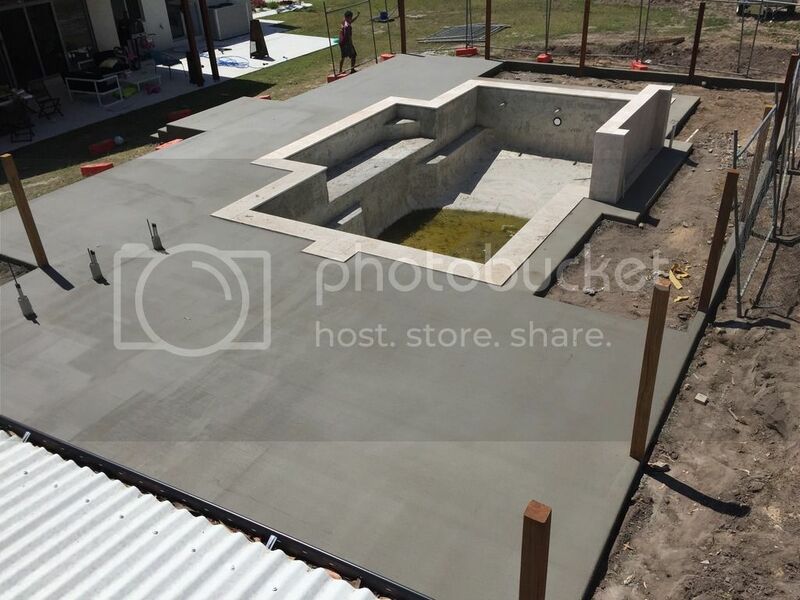 Boxed the concrete and started the pour . 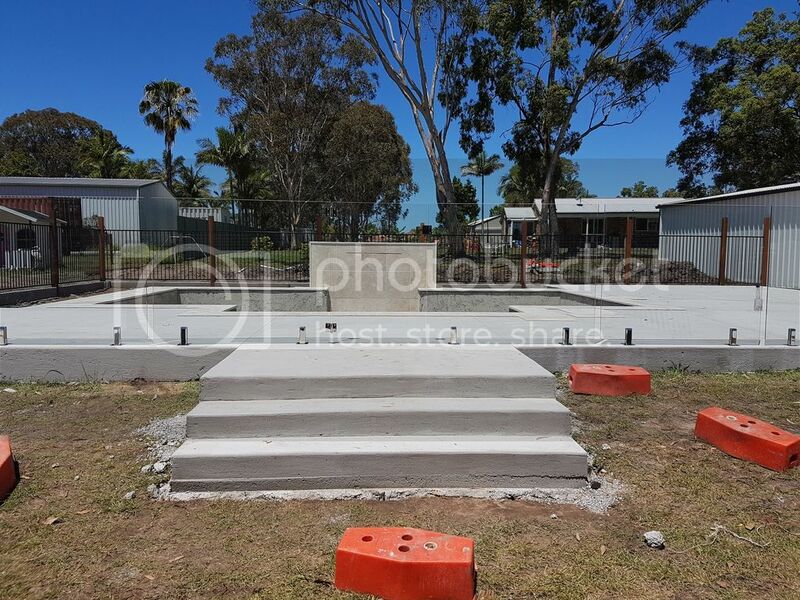 It ended up 91m2 and 15 cubes of concrete, was a lot of concrete but I wanted to get good proportions and future proof it. I also managed to incorporate some steps with a landing for the glass gate and a strip around the side and back to level the panels. 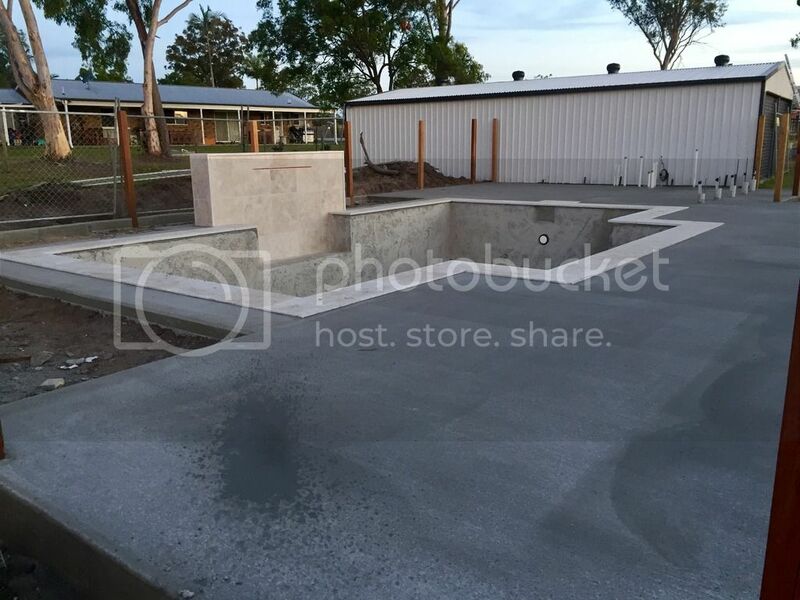 The dirt around will be deck to break it up and there is another row of 600x400 travertine to go down hence the extra concrete lip around the coping. How pretty is that travertine!!! 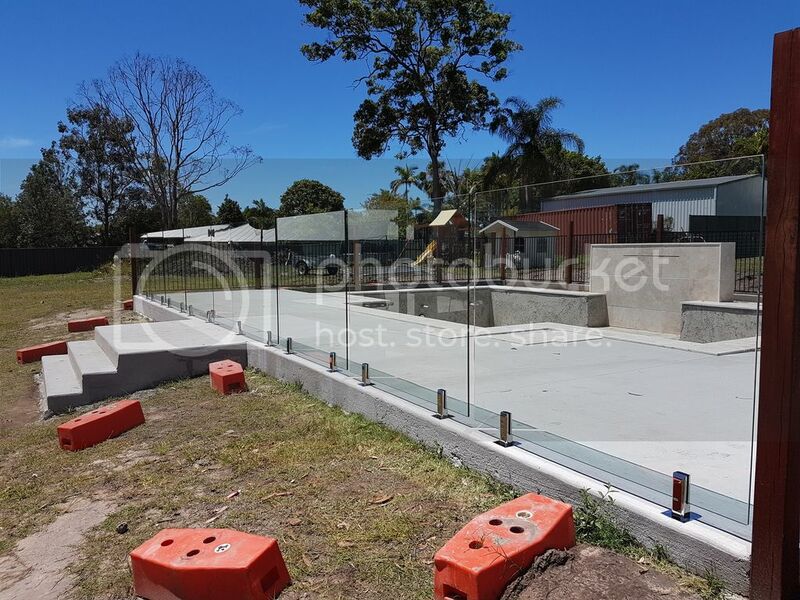 Pool fence is now complete went full frameless glass across the front with iron bark posts and black aluminium fence for side and rear. 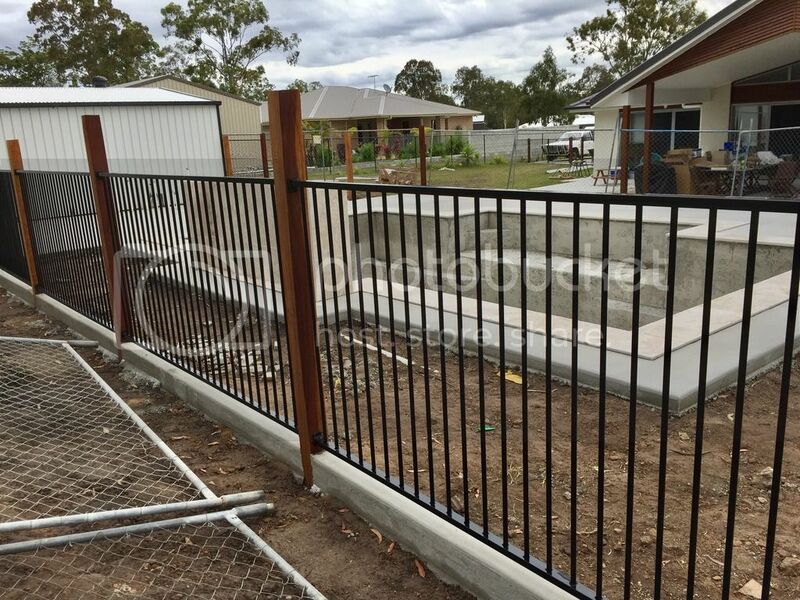 Fence gets complied end of the week and should be pebbles, filter and filled next week. Thanks Tribe I noticed you're selling already! I'm really happy with how it's coming together so far! Can't wait to get some gardens and colour around it though! Yeap on the market, crossing fingers for a buyer really soon. We are planning on buying a half acre or more, possibly building again, nothing set in stone yet. 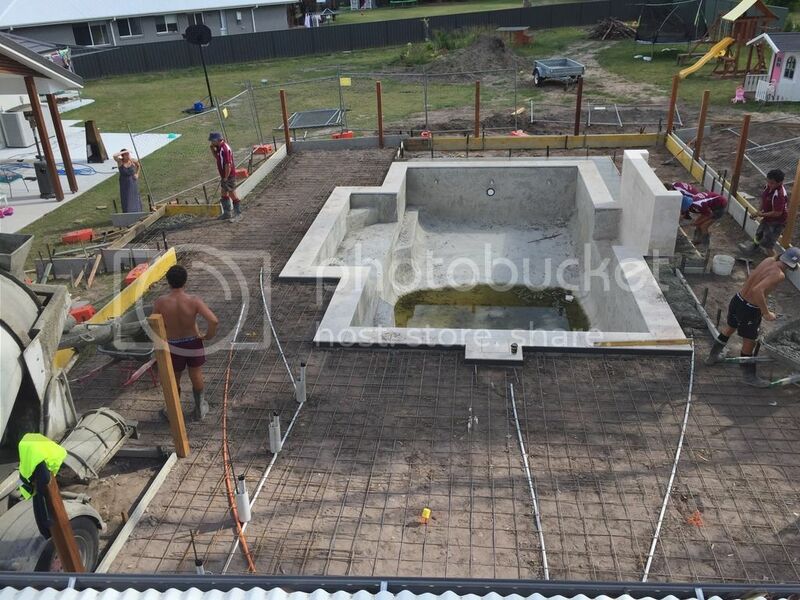 Hey Mr Bee, how's your pool construction going now? I'd love to see more pictures.